On Thursday 19th April Bearley Village Hall was transformed into the world of Rock and Alpine Gardens by John Page; who enchanted everyone by describing how they had developed over the last 250 years. Initially these gardens tried to replicate mountain conditions from Snowdon or the Lake District scree gardens. 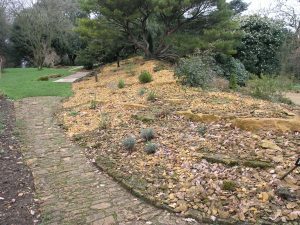 The earliest recorded alpine garden was created at the Chelsea Physic Garden London in 1772; using the totally useless medium of water worn volcanic lava. There were approximately 10 alpines in cultivation at that time, including the Primula auricula, Hepatica mobilise and Iberia sempervirens (from the Rock of Gibraltar). Jane and John Loudons were very knowledgeable on the subject, with Jane creating a romantic rock garden, which even had a slug moat! She made gardening for ladies popular. The rocks were considered more important than the plants. At Hooke House Lady Broughton had a rock fence, which she built following her Grand Tour to Italy in 1835. It even included a reproduction of a glacier and she knew that some plants needed rocky soil. By 1830 the Willow Gentian had been introduced. 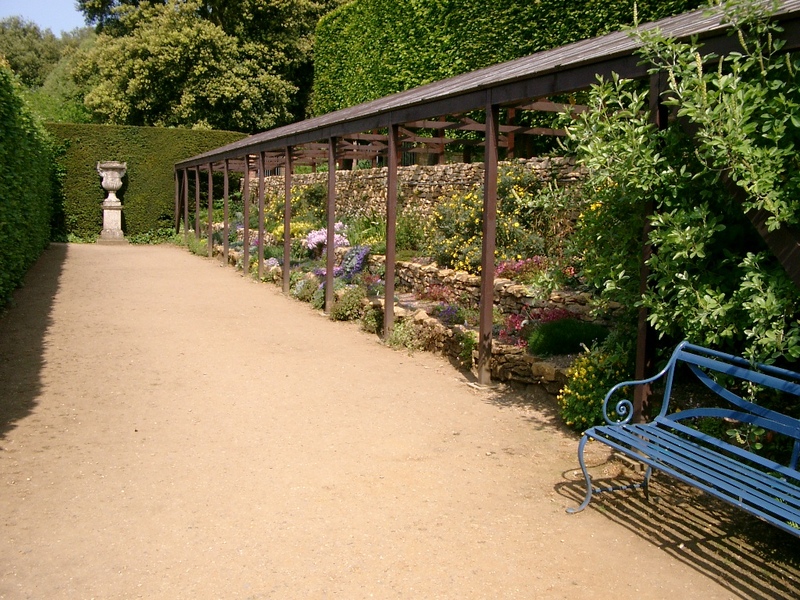 Raised beds and pergolas were created by Sir Humphrey Repton and included a planted version of Stonehenge at Alton Towers. Lamport Hall owned by Sir Charles Isham included German garden gnomes. Sir Joseph Paxton incorporated cantilevered rocks at Chatsworth. By the 1850s the Aubretia deltoidea was discovered. Biddulph Grange near Stoke-on-Trent was created by James Bateman using many individual large rocks. It was at this time that Edward Cooke suggested that plants should be grown in crevices. At the Edinburgh Botanic Garden James McNab created a rock garden at Edinburgh which took account of how original plants grew in regard to light and moisture requirements. By 1870 Erinus alpinus was used by William Robinson at Kew Garden. Later a ravine garden and alpine meadow were created. Mrs Saunders introduced alpine troughs in 1890s. Sir Frank Crisp from Friar Park had over 3000 plants and even a reproduction of the Matterhorn, chamonix and chalets. By 1900 Francis Dodds was considered the high priest of rock gardens, where he created the Wild garden at Scotney Castle. By now it was considered important to lay rocks as terraces and not as spikes. 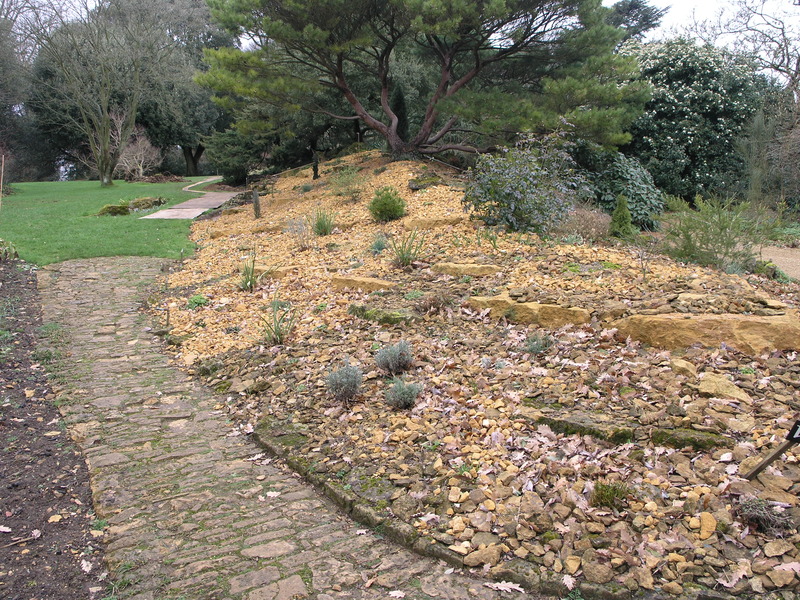 Hidcote Manor Garden has an Alpine Terrace & a Rock Garden (see Images IMP3046 Alpine Terrace & 27FEB07 Rock Bank)). During the 1920s Sizergh Castle used Portland limestone for its rock banks. Over the years the popularity of rock and alpine gardens has risen and warned, but today we can use troughs, raised beds and crevices even in small gardens. The Chairman Derek Bull thanked John Page and his wife Kate for presenting such a fascinating and informative programme and there followed a question and answer session.